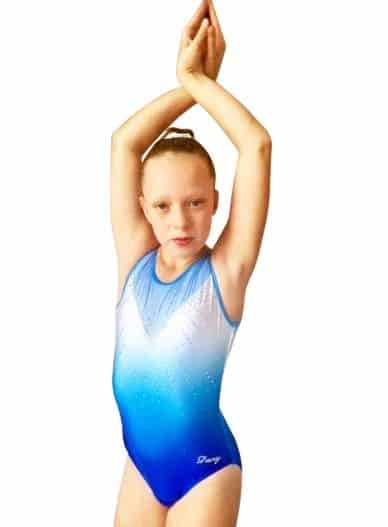 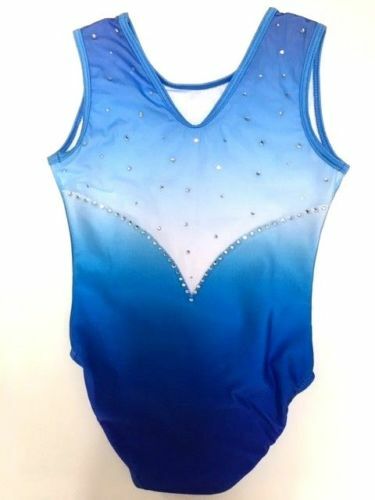 Gymnastics leotard in ocean blue to silver ombre lycra. 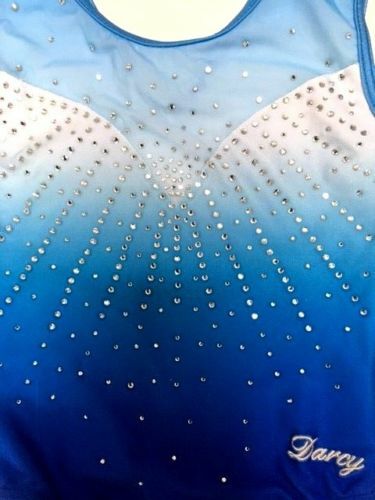 Fully lined for comfort and durability. 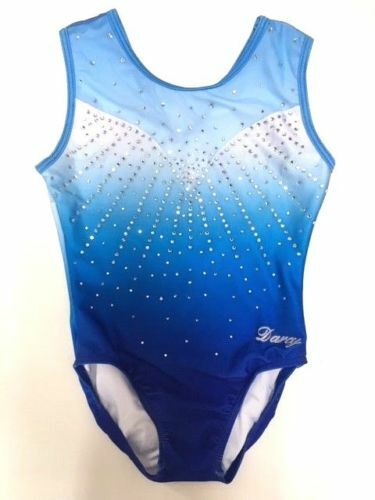 Laura Leotard in Ocean Blue to silver Ombre lycra with matching ombre mesh top section and back. The leotard comes fully lined for comfort and durability.